Henrik Stenson is in top form again. Picture © Getty ImagesHenrik Stenson has been named The Race to Dubai European Tour Golfer of the Month for August following a phenomenal sequence of results with which he climbed to No 1 in the 2013 Race to Dubai and No 6 in the world, writes the European Tour. The Swede, who receives an engraved alms dish and a Jeroboam of Moët & Chandon champagne, laid the foundation to leading The 2013 Race to Dubai ahead of Graeme McDowell and Justin Rose by finishing tied third in the Aberdeen Asset Management Scottish Open and runner-up in The 142nd Open Championship before launching August by being tied second in the WGC – Bridgestone Invitational. 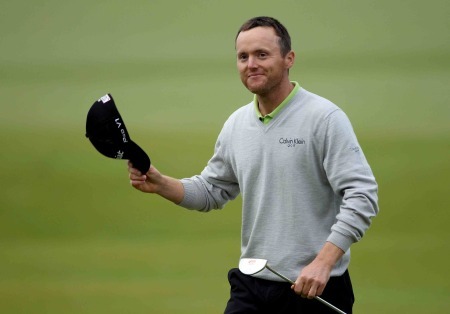 Then the 37-year-old Swede claimed third place in the US PGA Championship at Oak Hill before compiling rounds of 67, 63, 66 and 66 for a 22 under par winning total of 262 in the Deutsche Bank Championship in Boston. Stenson, who won the European Challenge Tour Rankings in 2000 before launching his career on The European Tour on which he has captured seven titles, said: “I think mentally I’ve been as good as I’ve ever been throughout this summer and that started in my preparations for the US Open. “You’ve got to be able to take the hits there and keep on going and I did that pretty good that week. But I knew I could be better. I’ve jumped up a notch in that department and just kept at it all summer. That’s the big reason why I’ve been able to have so many good weeks in big tournaments. The Race to Dubai European Tour Golfer of the Year Panel, comprising members of the Association of Golf Writers as well as commentators from television and radio, also considered the achievements of England’s Tommy Fleetwood, who gained his maiden win in the Johnnie Walker Championship at Gleneagles, and France’s Grégory Bourdy, who captured the ISPS Handa Wales Open, on The 2013 European Tour International Schedule. Derek Lawrenson, Golf Correspondent of the Daily Mail, said: “How good to see Tommy Fleetwood break through at the Johnnie Walker Championship and claim his first win while Grégory Bourdy’s stunning finish to win the ISPS Handa Wales Open will linger in the memory. Stenson will now be considered along with previous winners for The 2013 Race to Dubai European Tour Golfer of the Year Award and seeking to follow in the footsteps of last year’s winner, Rory McIlroy. Michael Hoey has capped a magnificent month by being named The 2011 Race to Dubai European Tour Golfer of the Month for September, the first time he has won the award. Picture © Getty ImagesIreland will have at least three players in the mix for the European Tour Golfer of the Year Award after Michael Hoey was named the 2011 Race to Dubai Golfer of the Month for September. 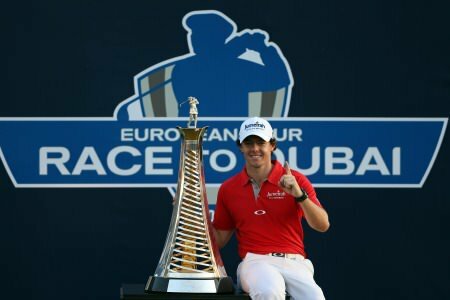 World No 1 Rory McIlroy is the Race to Dubai European Tour Golfer of the Year for 2012 Rory McIlroy has been voted the 2012 Race to Dubai European Tour Golfer of the Year - the youngest since the award’s inauguration in 1985. Henrik Stenson is the new world No 4 at the expense of Rory McIlroy. Henrik Stenson made Rory McIlroy’s nightmare 2013 season look at little worse on Sunday when he claimed the Tour Championship, the $10m FedEx Cup bonus and moved to No 4 in the Official World Golf Ranking, pushing the Holywood star down to sixth.